How much leeway should police officers have in expressing controversial opinions? 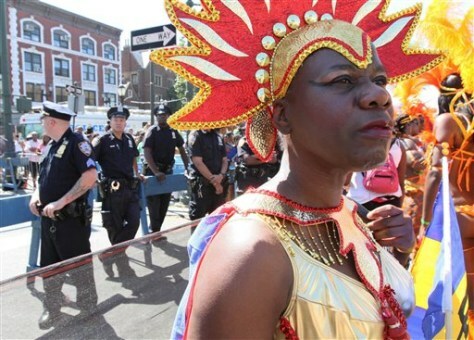 In this 2010 photo, police stand along the route of the West Indian-American Day Parade as parade participants make their way along Eastern Parkway in the Brooklyn borough of New York. The New York Police Department is investigating a Facebook group purported to be created by police officers titled “No More West Indian Day Detail,” rife with nasty, often racist comments about the annual parade in Brooklyn.